On Monday, Kate (my coworker and friend) and I decided we wanted to donate blood. Kate's mom is a breast cancer survivor and so I knew it meant a lot to both of them that we contribute to the cause. We arrived at about 1pm (after already being turned away for not eating lunch) and got all signed in. We answered questions, got our iron levels checked (we both ate steak the night before to prepare), and then we were led to a table to start the process. We were both facing one another because I was donating from my left arm and Kate was donating from her right. The nurses got started on Kate first and things were looking good. She had a smile on her face and her blood was a-flowing. Then they started on me. Unfortunately they could not find a vein and so they had to kind of dig for it. I kept saying "um that kind of hurts" when really it hurt a lot. Before I knew it I started getting super hot, dizzy, and nauseous. I told my nurse that I wasn't feeling well, and she dropped the back of my chair down to where it was now a bed. She removed the needle and gave me some water...she also told me that Kate had also had to be laid out. They put some cold compresses on our heads and neck, and we started to feel better. I then was faced with the decision of if I wanted to try the other arm. I was determined to give blood so I said yes. This time they found the vein and I was able to donate. However, I am a "slow flow-er" so it took forever! Despite the dizziness, nausea, and craziness of the experience, both Kate and I were proud and happy that we did it. ....and we are down and out!!! Feeling better and almost finished! On to other news...for the past few months I have been experiencing blurry vision and headaches when at work. A lot of my loved ones suggested that I go get my eyes checked so I did. Turns out that I still have 20/20 vision, but my Optometrist did think that both ailments were being caused by my computer screen. (I knew I was meant to be an actress and not have a desk job..haha!) Anyway, he suggested that I order a pair of glasses that are worn when in front of the computer for long periods of time that act as a shield from the glare. So I did! Finally, I am going to Texas today to go to one of childhood friend's weddings. This will be the first of two trips to Texas in just 3 weeks. Woo hoo!!! Love me some of the Lone Star State! On a side point, have you seen this? I can not express how CRAZY it is that Falfurrias (my hometown) is in it! Haha! 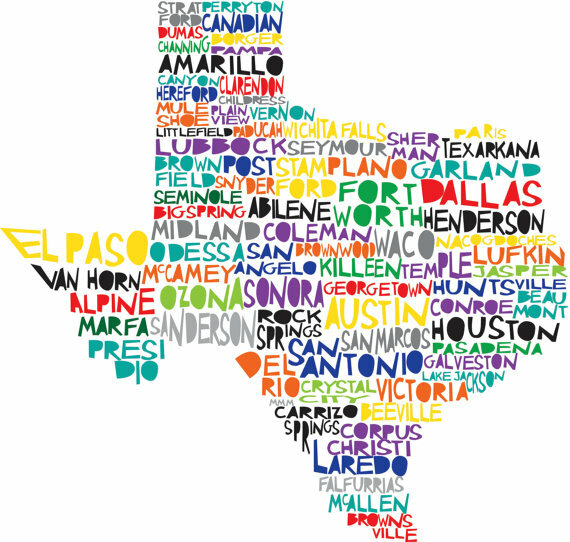 We are a town of like 5,000 people but we made the cut...I think it is mainly because we are the only town for like a 50 mile stretch on either side of that part of Texas...but still! So cool!!!!! !